This card is for the Addicted to CAS challenge - Code Word - Ombre. 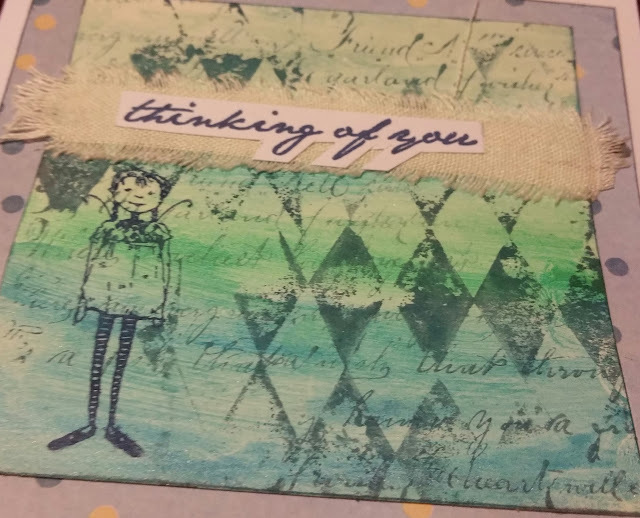 I started with shades of blue and teal Gelatos on watercolour paper then layered with the script and harlequin (VLV) stamps. 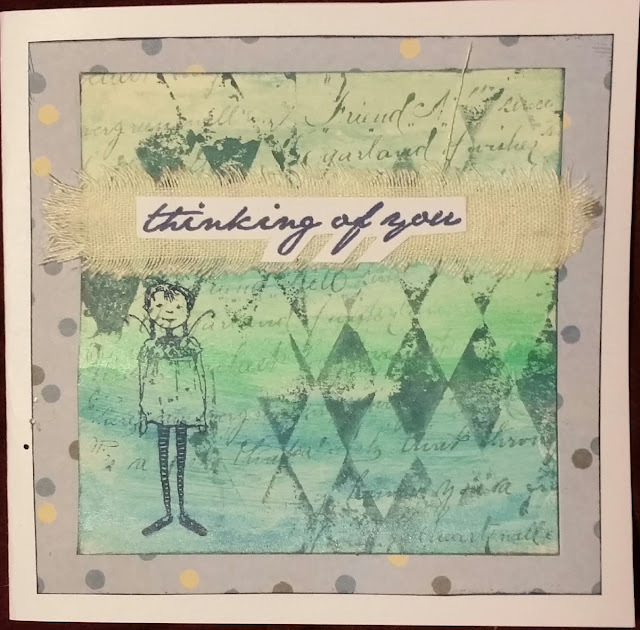 The sentiment is layering on a fabric ribbon and the girl stamp is from Viva Las Vegas Stamps. It was then mounted on scrapbooking paper and the card.